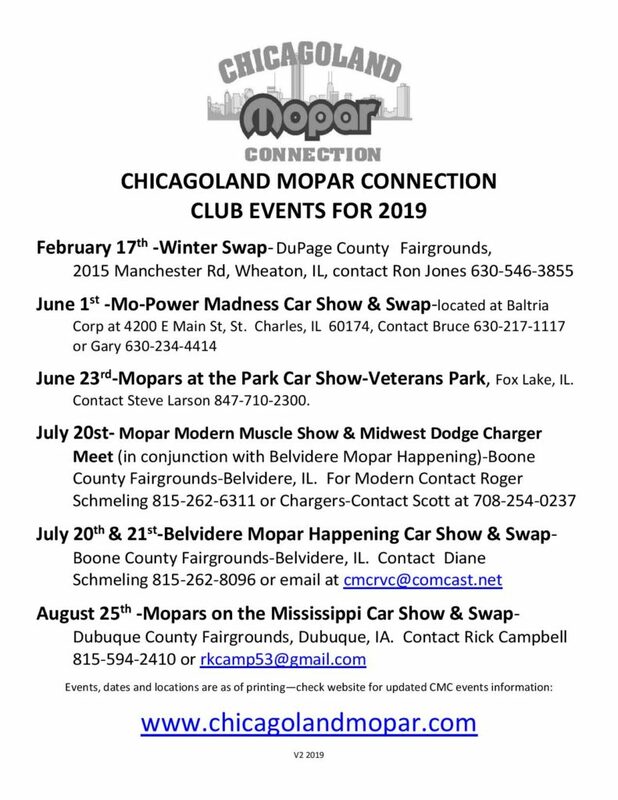 In January of 1990, a group of MOPAR enthusiasts formed the Chicagoland MOPAR Connection. Through the years chapters have been added to accommodate the growth of this dynamic car club. 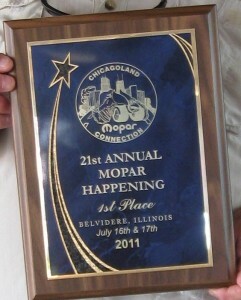 First there was the Rock Valley Chapter, next was the Mighty Mississippi Mopars Willowa Chapter, and then the Fox River Chapter. From the very early days there was always the membership that was called the Main Club, Today they are considered the CAM Chapter. Years later CMC has many hundreds of memberships and thousands that we consider members. A large portion of these members live in the greater metropolitan area of Chicago, IL. This geographical area includes Cook County, DuPage County, Will County, Kane County, Kendall County, Grundy County and northwestern Indiana. We have grown to include eastern Iowa and southern Wisconsin.